The Humboldt County Fair has been thrilling kids, feeding folks and awarding Best in Show ribbons for 119 years. 119 years, people. That's a lot of cotton candy. 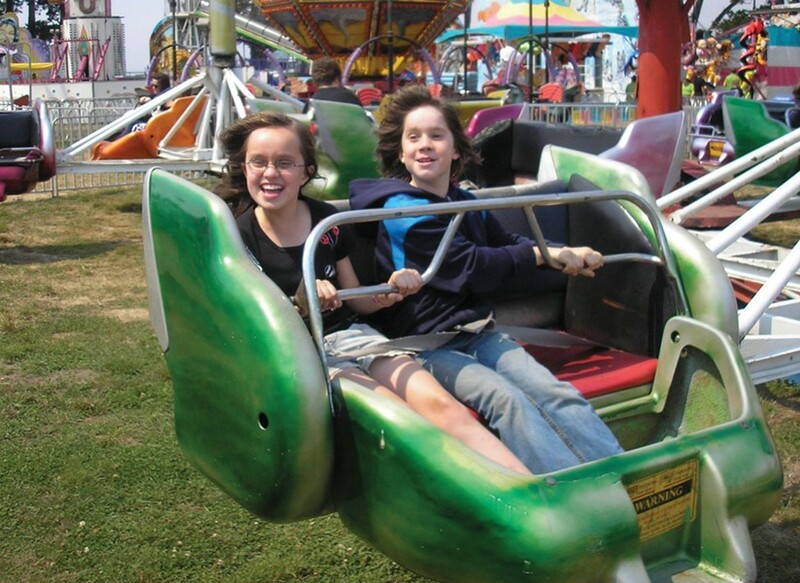 The fair flings open its gates Aug. 20 through Aug. 30 and welcomes you to enjoy 10 jam-packed days of all the fair food fun you can stomach ($8, $6 seniors, $4 kids 6-12, free to kids under 6). This year's theme is "All Aboard — A Salute to our Coastal Heritage," and includes special days like Everything Humboldt on Monday, Aug. 24 and Tuesday, Aug. 25, when you can browse arts, crafts, foods and products, pick over the produce at the farmers market and enjoy live music by the Lyndsey Battle Trio and Humboldt Harmonaires. On Wednesday, Aug. 26 the fair goes Everything Coastal with Mayor of Flavortown Guy Fieri heading up the Surf and Turf Barbecue Contest in the grandstand from noon to 5 p.m. Later that night, he's emceeing the Battle of the Bands on the midway stage at 7 p.m. Cowboy action takes over the Grandstand with the Bull-O-Rama on Thursday, Aug. 27 at 7 p.m. ($10, free for kids under 6) and kids Games like mutton bustin', animal scramble, sack races and more at 5:30 p.m. (free). In addition to horse racing at the track ($3), you can catch Cavallo Equestrian Arts, Popovich Pet Theater, Live Stingray Encounter, Lucha Libre Wrestlers, sheepdog trials, pony rides, camel rides and the World Record Balloon Stunt Show. Then head inside to tour the exhibits and vendors showing everything from livestock to flowers, baked goods to fine arts. And let's not forget the carnival, open each day from noon to 10 p.m. Local bands Don's Neighbors, Eureka Brass Band, Uptown Kings, Buckshot Possum and others take the stage, too. And then there's the food — not just corndogs and funnel cake, but fancier fare like apple crisp with warm whiskey cream from Sweet Basil Bistro. 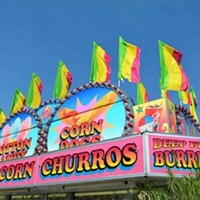 Admission for events varies and package ticket deals are available online at www.humboldtcountyfair.org.